View Poll Results: What truck would you like to see win 2016 May "Build of the Month"? 1. Only the people that come to the group photo at the previous comp get to be voted in. 2. Only one vote per person, so take your time choosing. 3. Truck must be SORRCA legal and driveable. 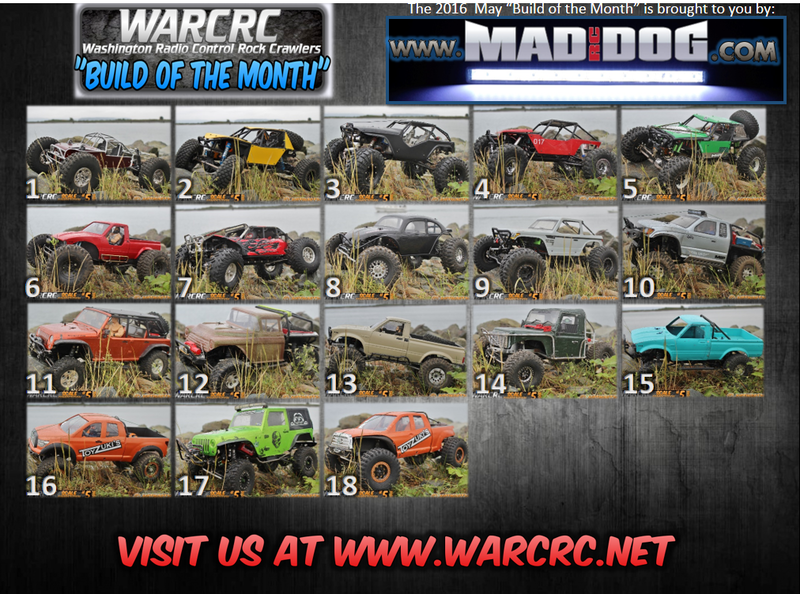 -There truck will be features on the following months WARCRC Scale Comp Flyer!!!! -A photo shoot of there rig from the one and only JUSTINART24. -An interview that will be posted. 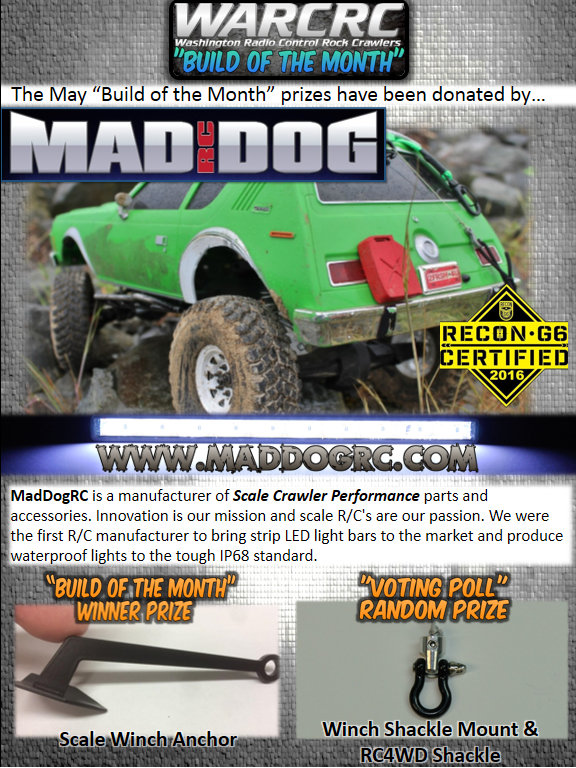 Please vote on the poll above for you choice for WARCRC Scale "Build of the Month" for May 2016.